Shhhh! I’m going to tell you a secret. 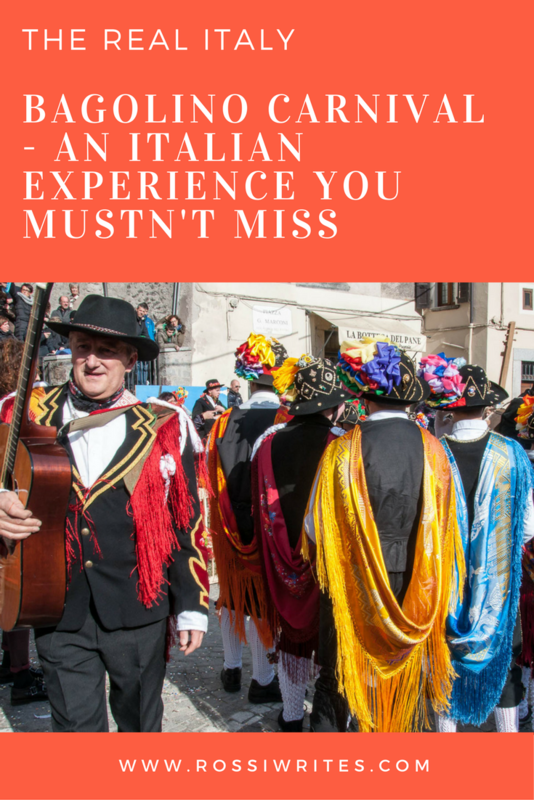 Make sure you keep it to yourself as it’s just for people looking for unusual and authentic experiences in Italy. 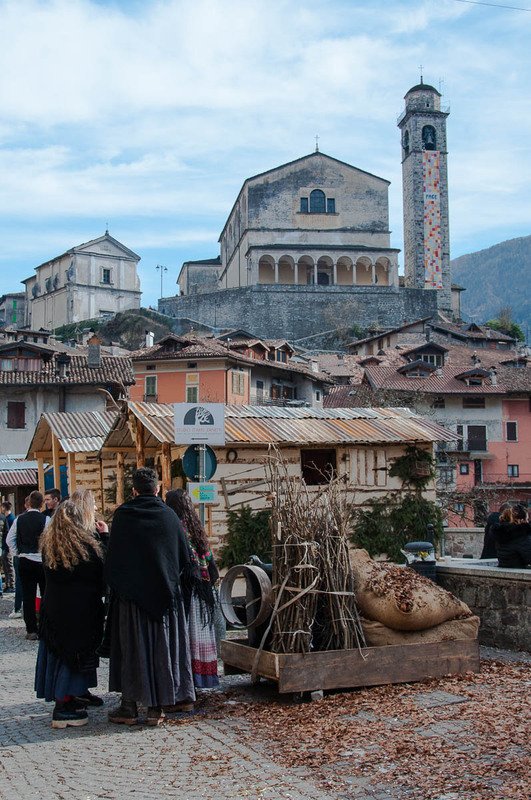 I had the chance to have one such experience only a few days ago and now I want to give you all the details and show you all the vibrant, colourful photos so that you can put it up on top of your travel wish list and know where to find a fun, one-of-a-kind event and some proper cheese in a very authentic Italian way. But, shhhh… Keep it all between ourselves. Now, have you heard of Bagolino?! No?! Great, that’s the right answer, so don’t worry if you have said ‘No’. The less people know about it, the better. After all, we are all tired of overpopulated mega tourist cities and events. and its Carnival. Which is like nothing you have ever seen. 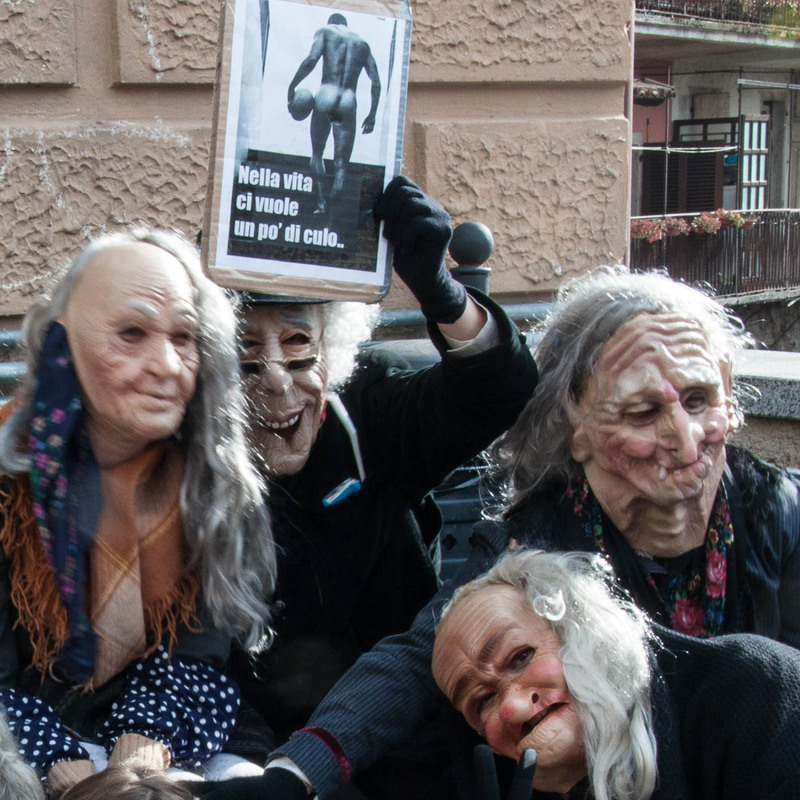 Forget the huge choreographed events and parades in Venice, Verona and other such world-wide known centres of the excesses of the modern Carnival. Forget the crowds of tourists desperately hanging onto their selfie sticks trying to get thousands of photos to share socially. 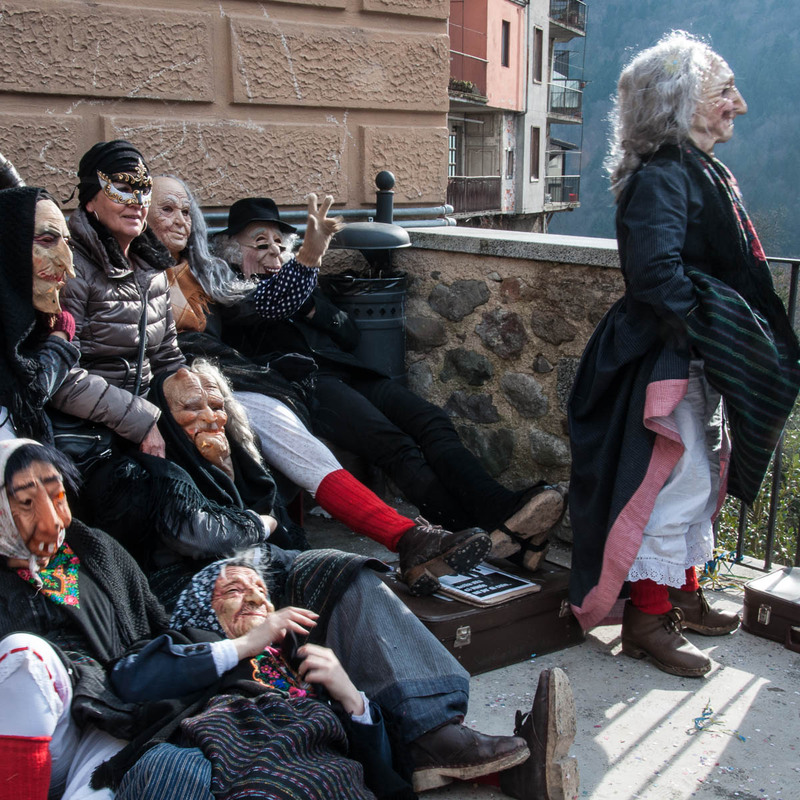 The Bagolino Carnival has no glitter, no superficial shine, no masked balls costing hundreds and thousands of euros to attend. the locals are so not fussed about attracting tourists that they forget to update their website with this year’s events. 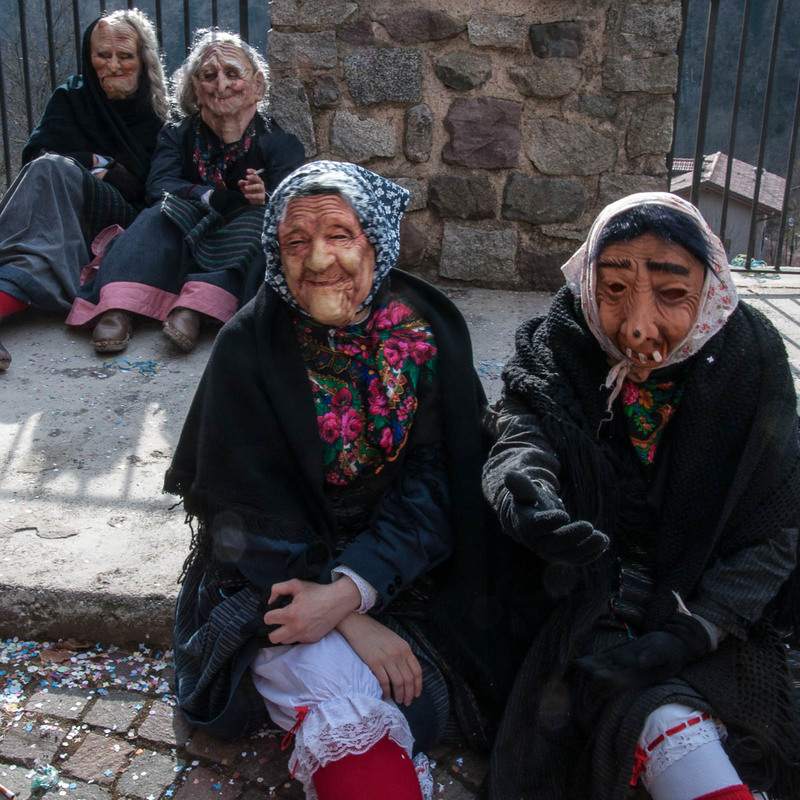 And where, above all, groups of old witch-like ladies mingle with people all over town, their raucous laughter only rivaled by their double innuendos and very mischievous behaviour. Oh, God, it was such good fun! and then they immediately suggested that he dropped his wife (i.e. me) and go with them to teach them English, as apparently they were really interested in languages. I haven’t laughed like this for a really long time. But, I am getting ahead of myself. Let me start from the very beginning. 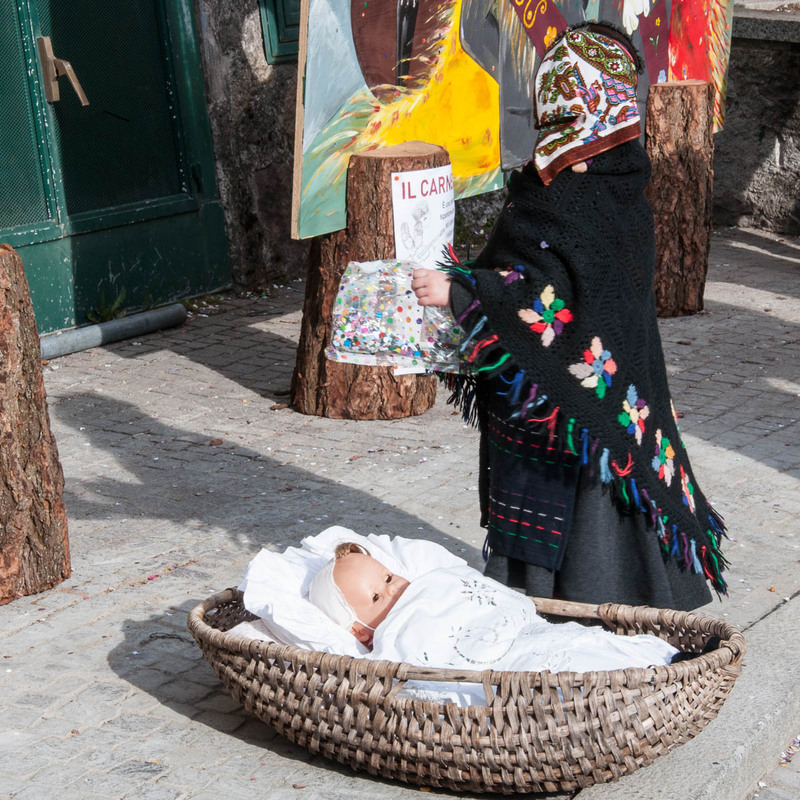 I found the Bagolino Carnival mentioned briefly online and it immediately caught my eye. 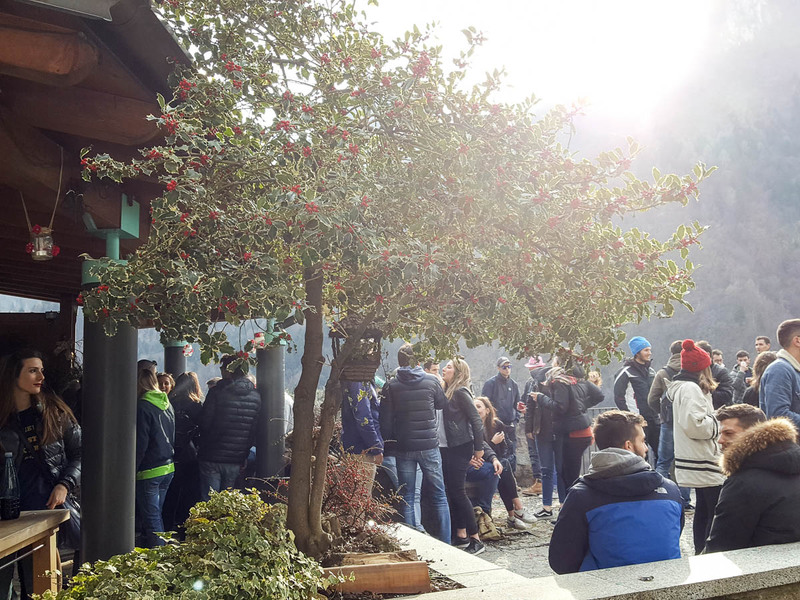 It looked so different than any other Carnival experience we have had in Italy so far that I knew we had to head over there and see it for ourselves. 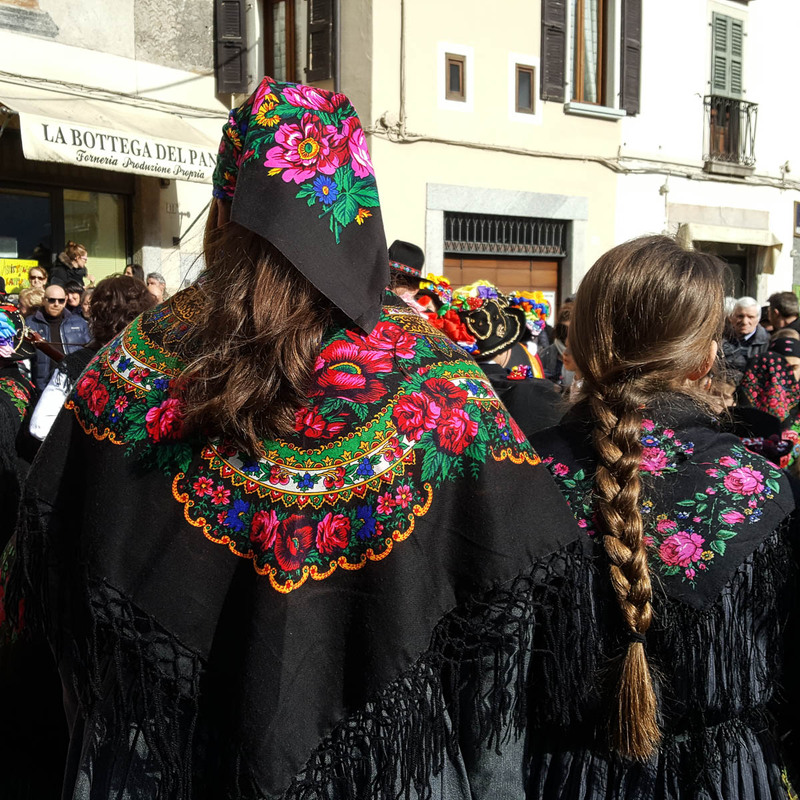 The little information we could find stated that the celebrations revolve around two groups: the Balarì (the Dancers) and the Mascher (the Masked Ones). The dances and the music of the former date back to the 16th century, while the origins of the latter seem to be even older. 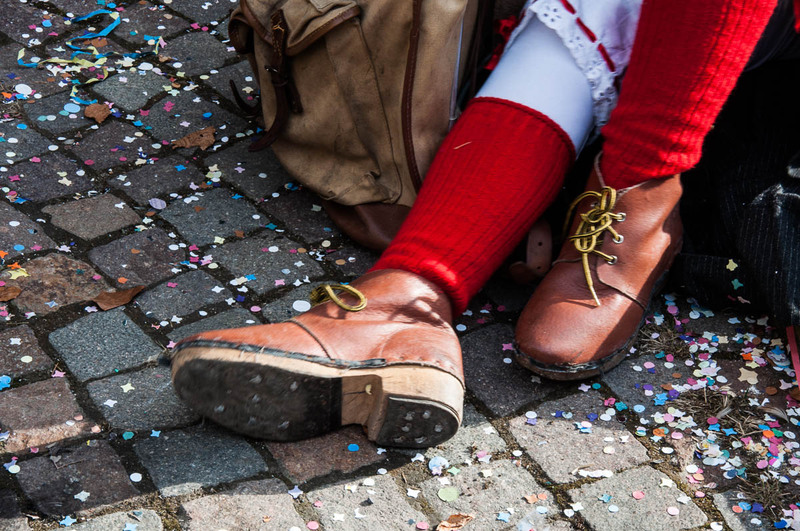 Still, the world only took notice of Bagolino Carnival in 1972 when scientists classified it as one of the most important ethnological discoveries of the last 200 years. 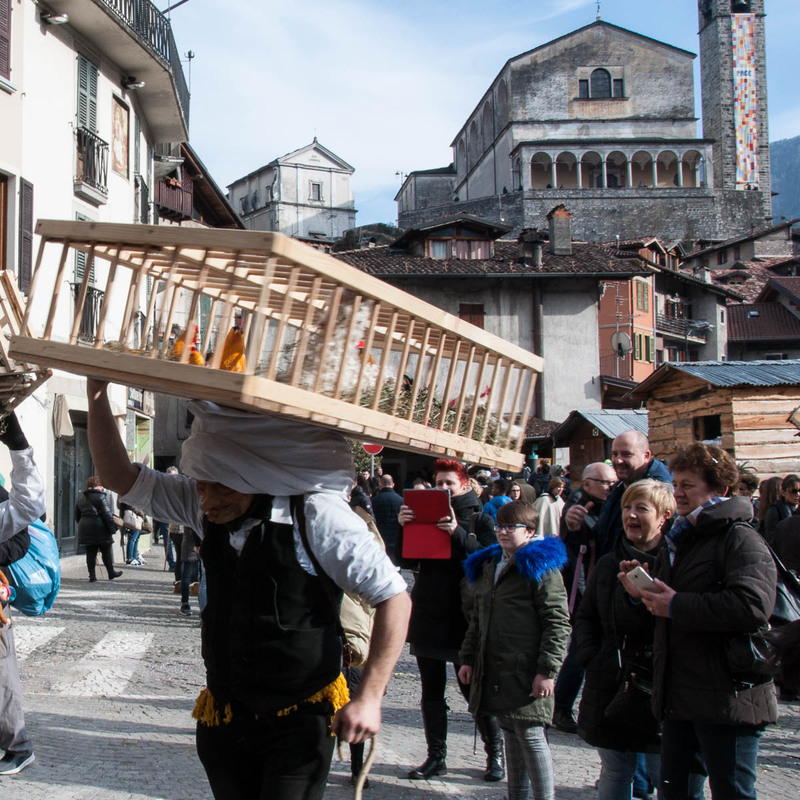 Thanks primarily to its isolated mountainous position, Bagolino had managed to preserve a carnival tradition like no other. 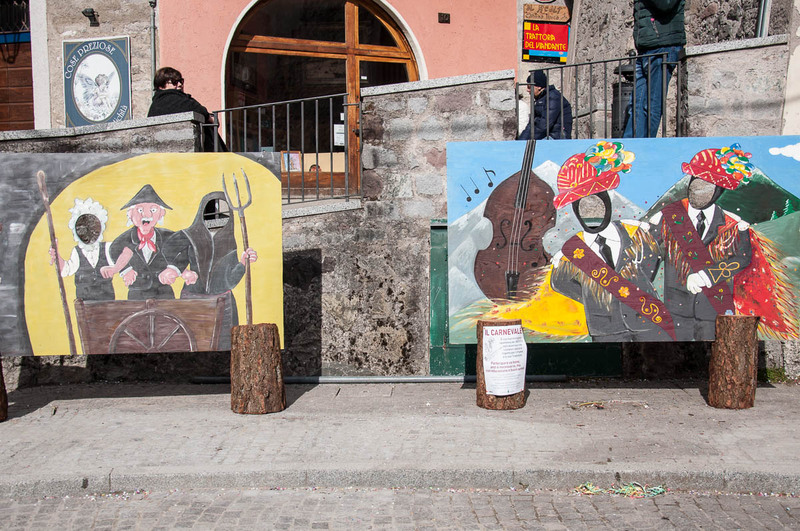 In fact, the source of the music and the choreography of the dances of the Bagolino Carnival is yet to be determined. With our curiosity piqued, we searched for information about the particular events taking place during the Carnival days. We wanted specific details about starting times and what was to happen when. We found nothing. Hang on! That’s not entirely true. 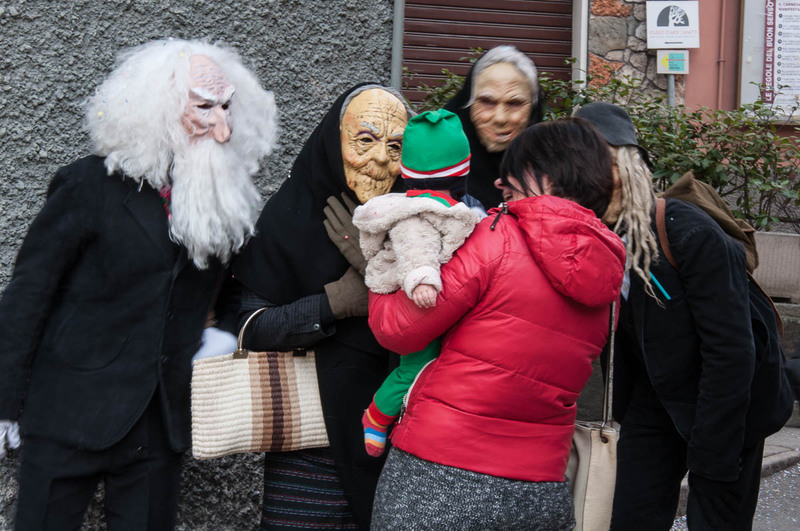 We found a mention in a local website that the Bagolino Carnival celebrations take place on Sunday, Monday and Shrove Tuesday. With that, on Sunday morning we piled in our little red car and drove on, all the while a bit unsure as to what we would find (if anything) at the end of the road. 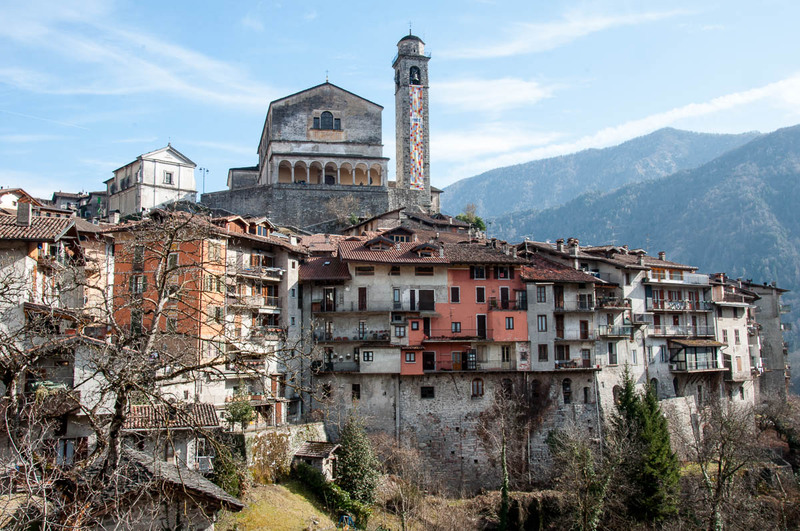 It took us just over two hours to reach Bagolino from our current home city of Vicenza and, once we got off the motorway, the road took us through the deep valley of Sabbia and along the shores of the mirror-like lake Idro. We crossed through tiny hamlets and little towns. We spotted the ruins of an ancient castle up on a hill by the road and even a mural from, what seemed like, before the Second World War on a house we passed by. 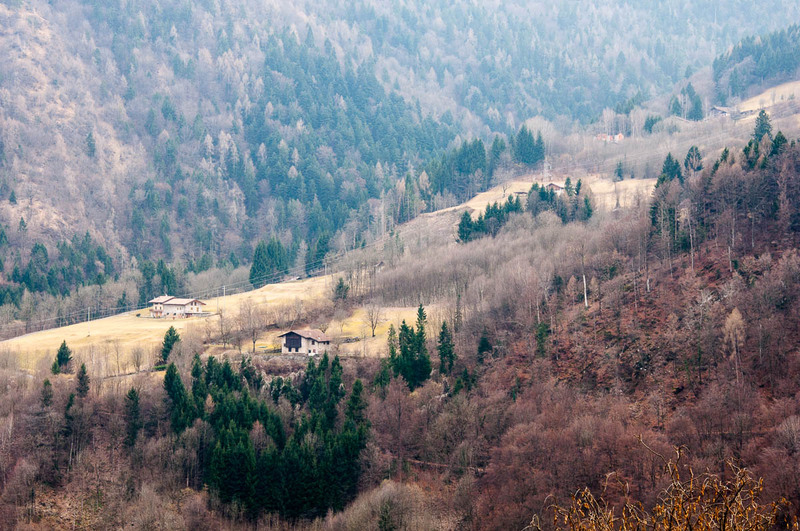 A winding road took us up above lake Idro and then guided us to the bottom of a deep valley. We drove past a couple of small dairy farms and spotted a most curious sight. Along the road there were what I could describe as ‘huts on wheels’. These were little wooden houses which had been placed on four wheels. Each house was covered with pine branches and we couldn’t quite work out what purpose they served. We continued straight ahead for a little while until we reached a crossroads on the side of which another one of these curious little huts on wheels stood. It was surrounded by young men dressed in long skirts, floral shawls and stripy aprons. They seemed to be having a wonderful time, laughing and drinking wine. 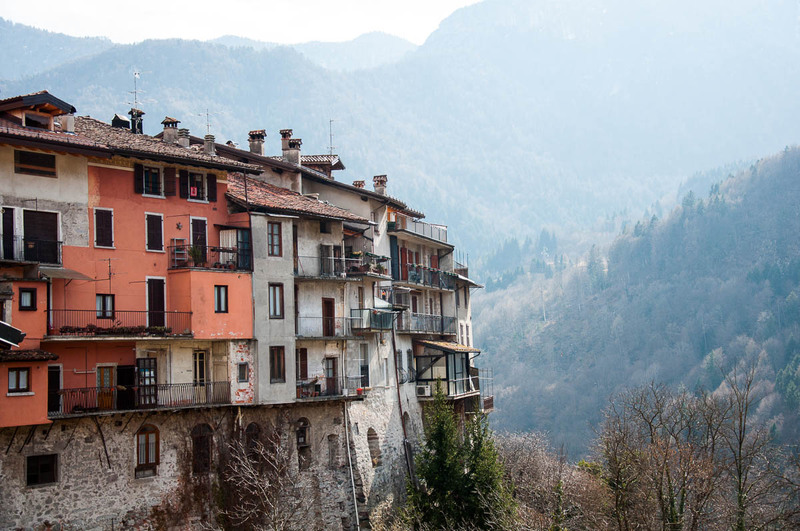 We stopped to ask them which way to take in order to reach Bagolino, the tall houses of which we could already glimpse on the steep slopes above us. Just then another young gentleman walked out of the hut and, holding a long fishing rod in his hands, he tried to ‘fish’ us out of the car. Which provoked an all round merriment. It was obvious that the party had started and we were at the right place. 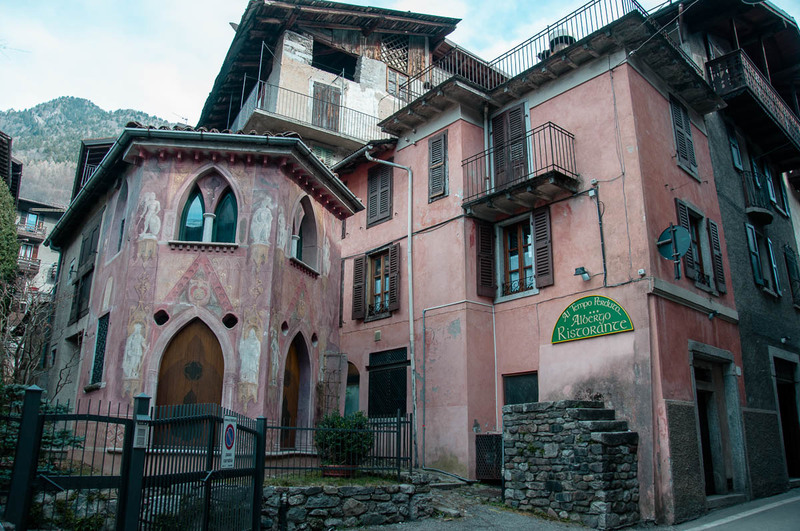 We followed the instructions given to us and drove up and up the road soon finding ourselves cruising through Bagolino’s narrow streets lined up by surprisingly tall stone houses. 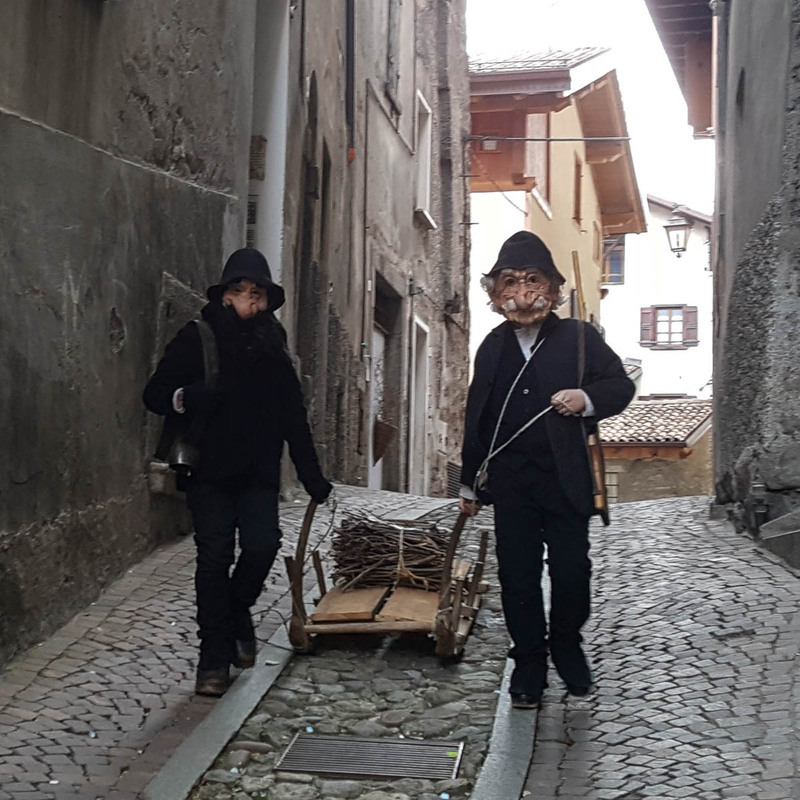 Even though we were in the heart of a medieval village, soon we found ourselves faced with a very modern problem – lack of parking spaces. 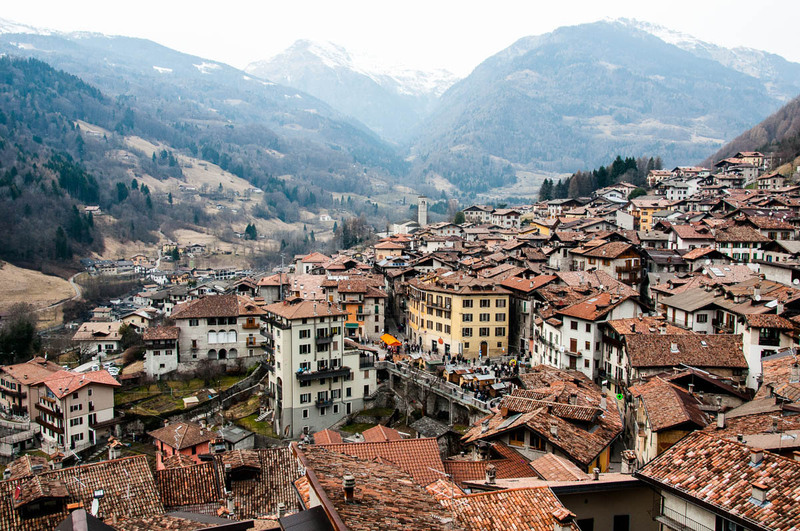 and the village hurtling down the steep slopes. It was very beautiful but the parking situation started to make us feel a bit desperate. Just when we thought things couldn’t get any less promising, we finally got a lucky break and our little red car could take a bit of a deserved rest. 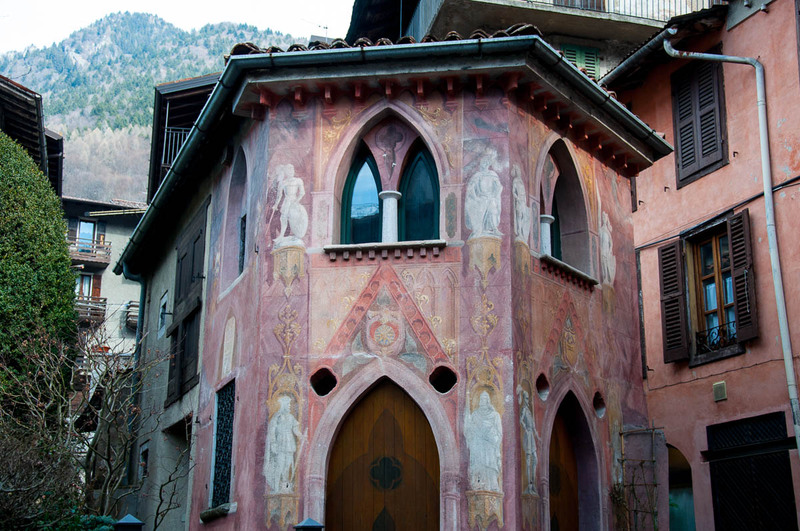 Number One was this stunning painted house. 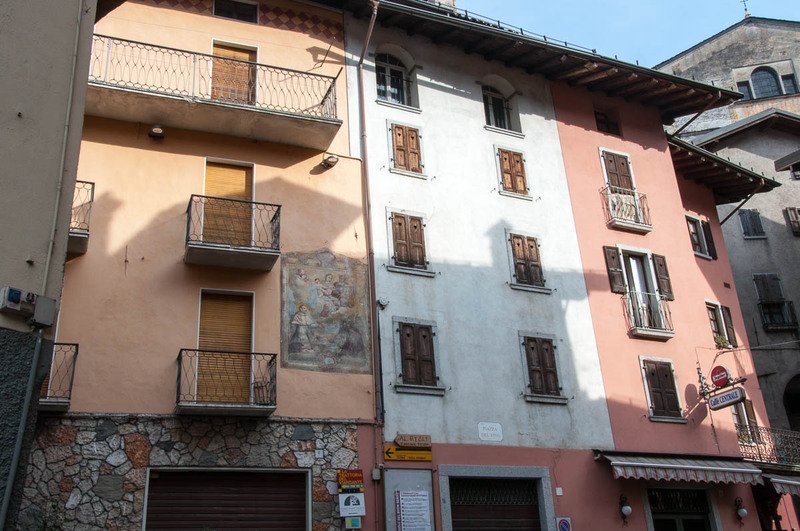 Just take a closer look at the fabulous frescoes covering its walls. And Number Two was a merry group of people spilling out of a nearby bar and singing lively songs whilst clutching glasses of wine. It was about 1:30 pm by that point and it seemed like Bagolino was really getting in the swing of things. 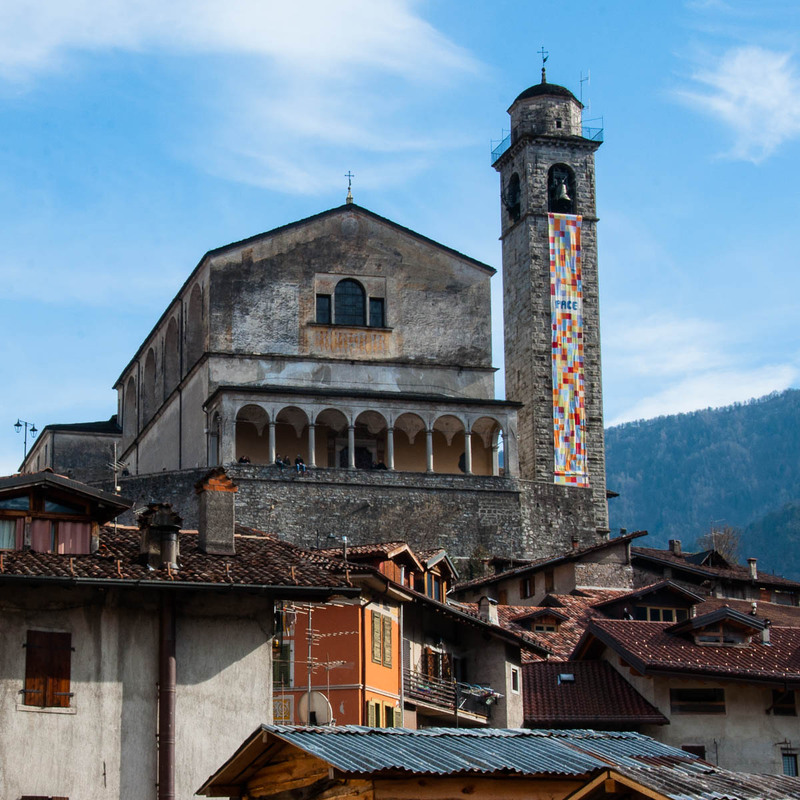 A short walk down the high street and we found ourselves at a fabulously picturesque piazza. One of those Italian squares which simply take your breath away. It was like being in a movie – everything seemed so perfect, so organically put together and so artistically mixed and matched. People were out and about, enjoying the warm rays of the bright sun. Teenagers, dressed in the local traditional attire, were mingling and having a great time. 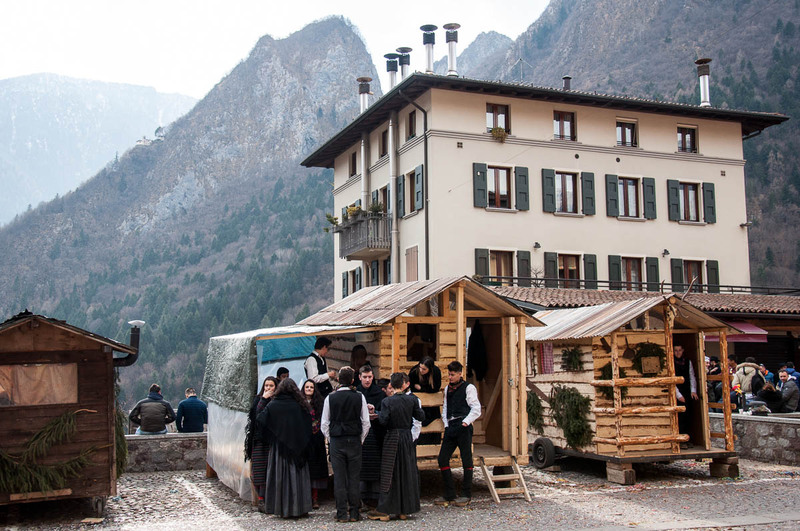 They seemed to congregate in front of a long line of those wooden huts on wheels which we had first glimpsed on the way to Bagolino. The girls, I noticed, were incredibly beautiful with their long, dark, glossy hair which they wore either loose or in thick plaits. 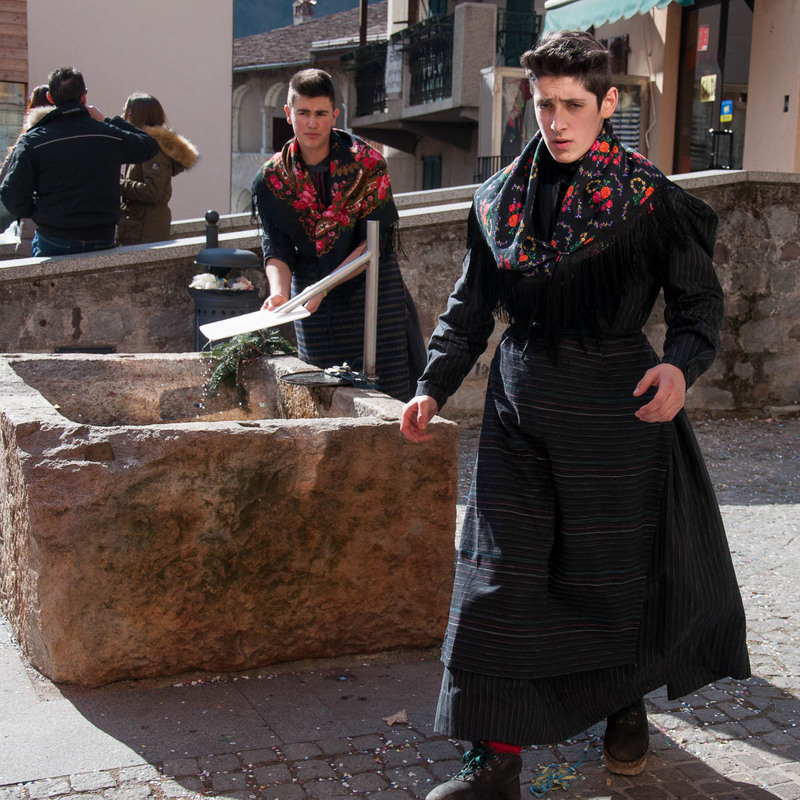 The boys wore either the male or the female version of the local folk dress. They nonchalantly walked around with their swishing, long skirts with a stripy apron tied at the front. and old-fashioned leather boots the thick wooden soles of which were covered with metal studs. 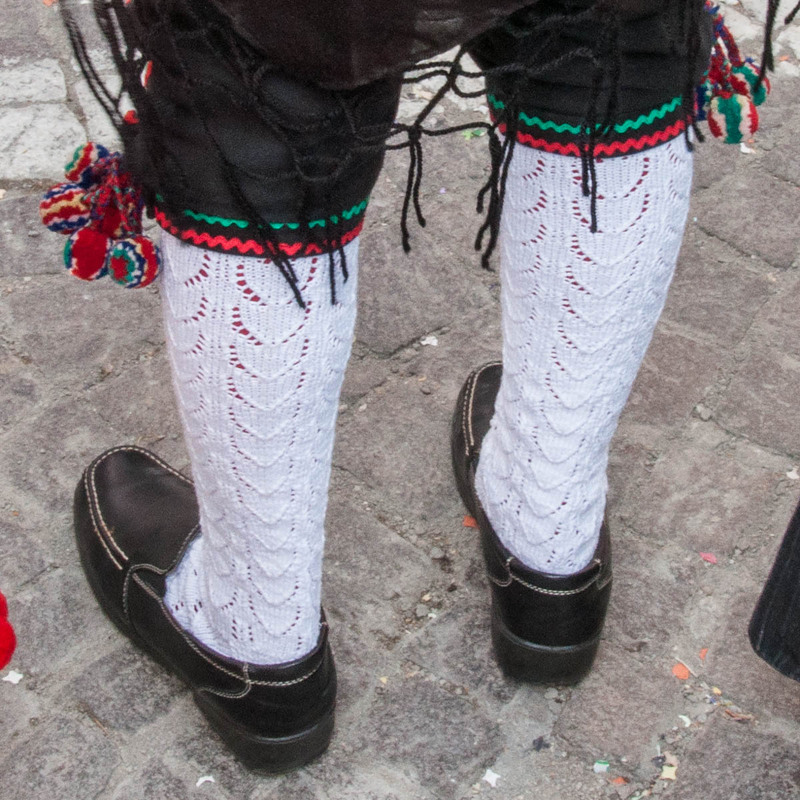 These would rhythmically clatter on the cobblestones with every step people took. 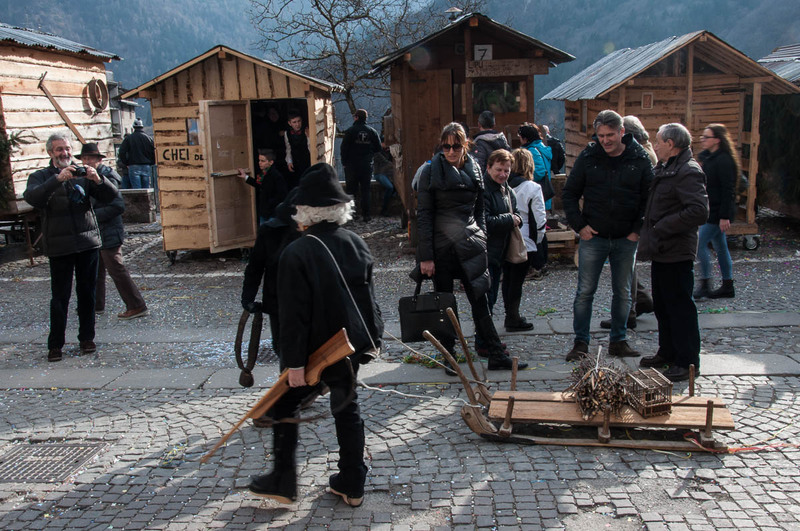 ‘What are the wooden huts for?’, curious, I asked a passing youth. The wooden huts were really cool. Some of them even had lean-tos with chairs and tables . Others had wood stoves installed inside and we could see smoke coming from their chimneys. ‘Why do boys wear the female folk dress?’, even more curious, I asked. ‘It’s for Carnival! We dress up for fun!’, the boy explained. Looking around, we could see that everyone was having fun. From the groups of people going in and out of the local bars to the teenagers happily chattering away in front of and inside their Carnival huts. 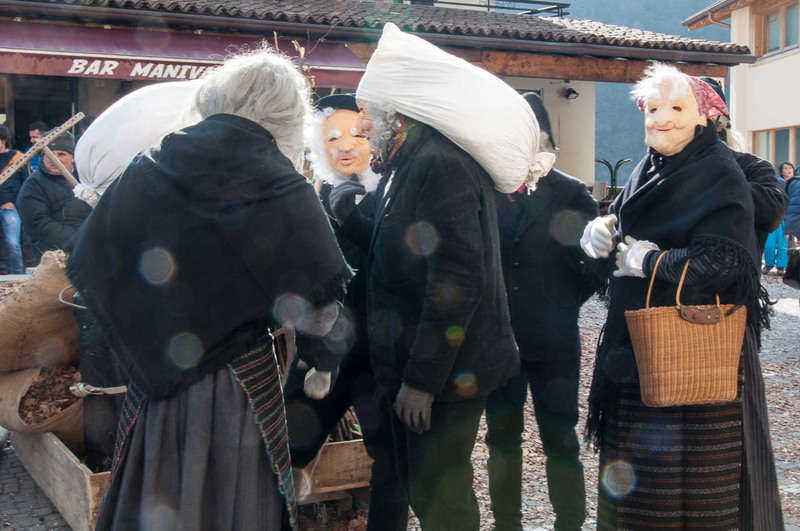 Just then we spotted them – a group of four really old women with grotesque witch-like features and baskets in hands. They were in really high spirits, cackling away and posing for photos in the most outrageous ways. 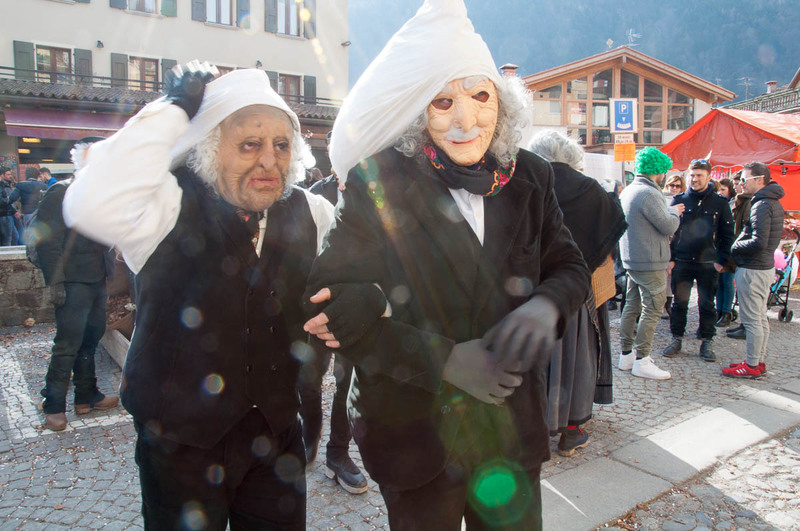 These were the Maschèr – one of the two distinct groups making the Bagolino Carnival so unique. Everywhere we looked now, we could see more and more Maschèr coming out to have fun. but really let their hair down when you pointed your camera at them to take a shot. Ah, those little old ladies had really prepared themselves. Apart from the traditional white drawers and red socks they wore (which they were only too happy to flash), apart from the huge, light brown, sausage-like implement they so fondly waved around, they also had a very special book which they would push under your nose, when you least expected it, trying to get an embarrassed laugh out of you. You can have a look at their special book in the photo below. I will leave it to you to use an online translator to find out what the Italian caption on the open page said. The old men, on the other hand, had huge, cushion-like appendages on their heads. We couldn’t quite understand why they were wearing them, until we saw them carrying on their heads some of the props for the Carnival. 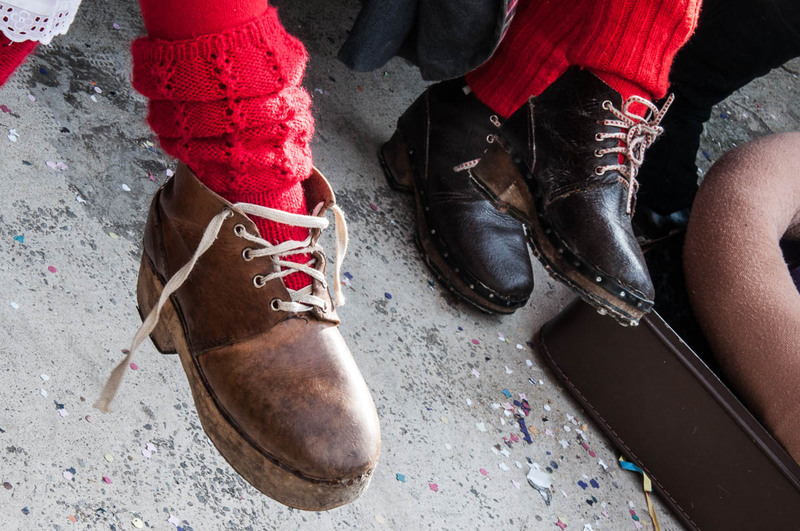 The Maschèr tradition – irreverent and outrageous as it is today, is nothing more than an ancient courting ritual. In the past, the Bagolino girls had the important task to fertilise the arable lands. They would wear a straw- or hay-filled cushions on their heads in order to transport a basket full of manure they needed in their work. The job would take two days and the girls would spend the night at lodgings provided for them by the rich landowner who had contracted them. The girls would use rhyming chants to let the boys they were interested in know the place where they would be working and sleeping on that particular night. The boys would then turn up at night for an evening filled with dances and jokes. 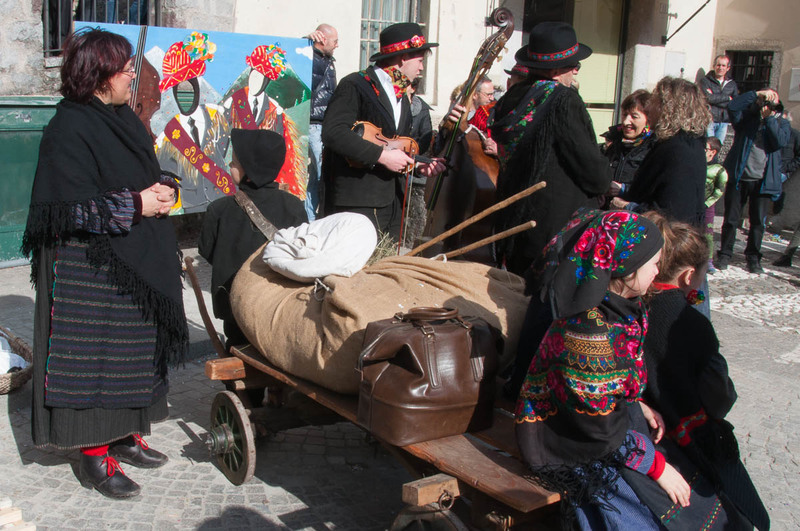 The essence of the ritual had been preserved and it is an important part of the fabric of the Bagolino Carnival. Outrageous old ladies or not, we felt like it was time for us to have some lunch. We walked back to the beautiful painted building at the start of the high street, which houses a lovely restaurant. It was really busy there and we hadn’t booked a table in advance (who would have known?! ), so after a short, unsuccessful wait for a table and salivating over the amazing food we saw being served around us, a decision was made to walk back to the central square and see if we could get some panini or such from one of the local bars. 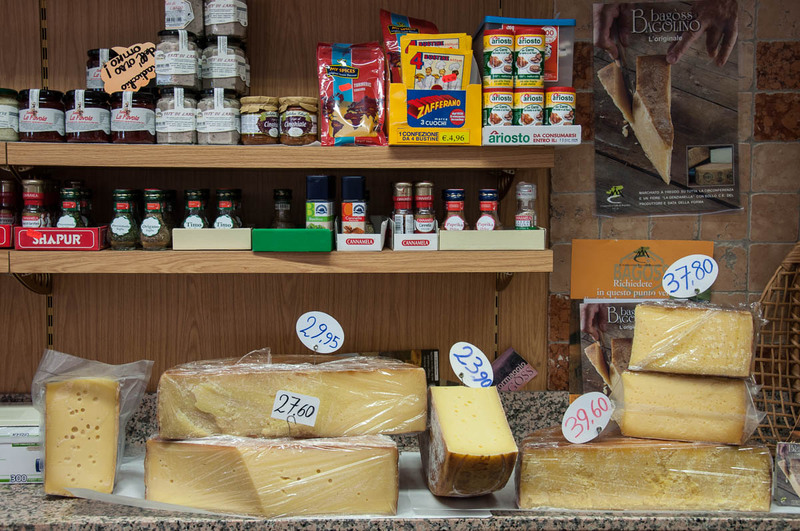 As luck would have it, we walked into the local deli where they kindly prepared for us panini with some bacon and thick slices of the local cheese Bagoss. Also there we received some vital information about the Carnival events. 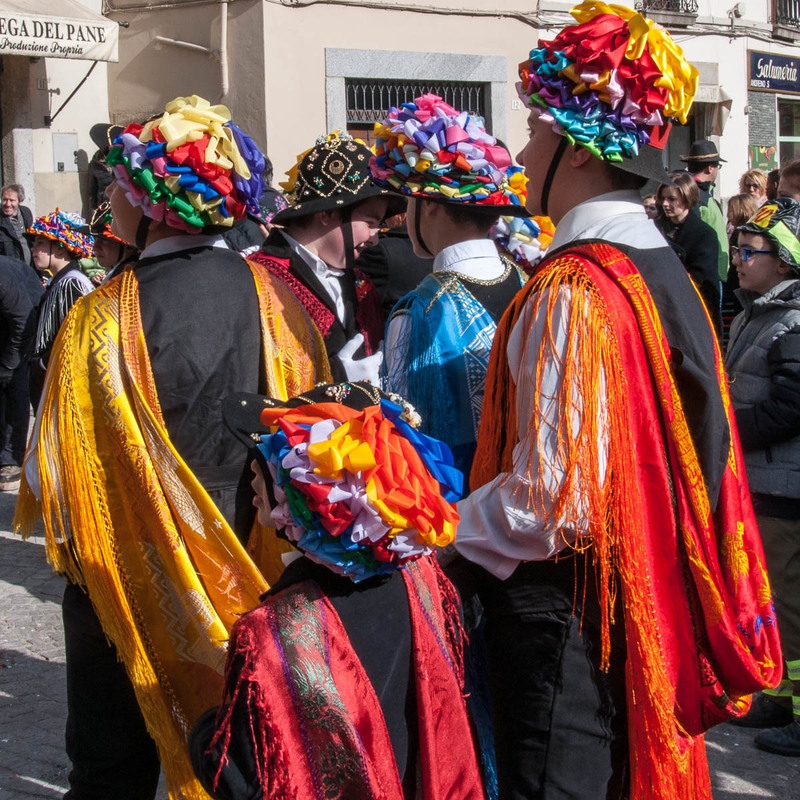 Sunday turned out to be the day of the kids’ Carnival, when the local kids dance the traditional Carnival dances on the square and then parade through Bagolino’s streets. 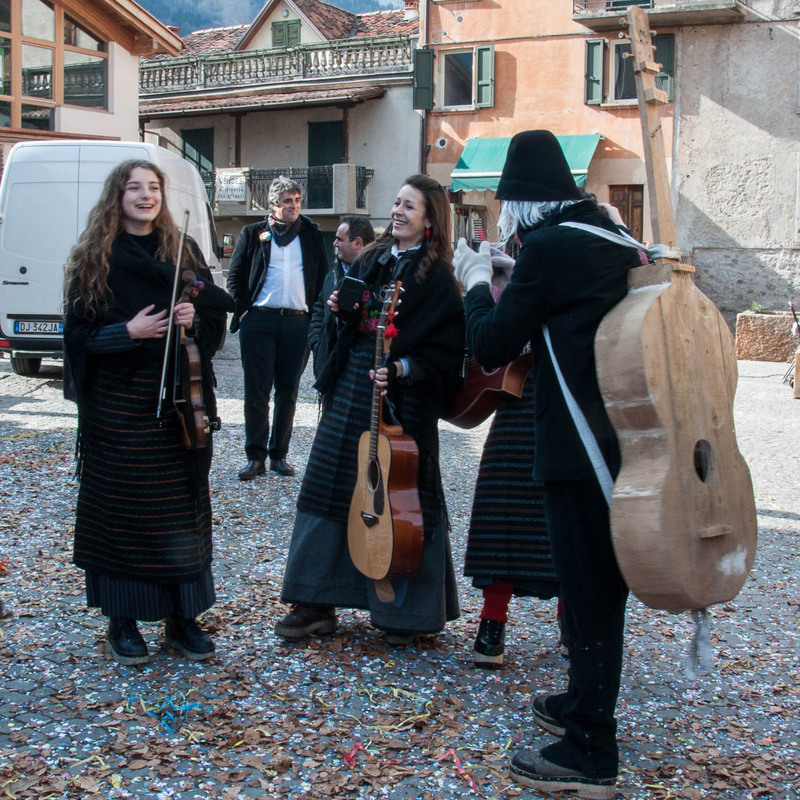 Monday would see a performance both by the kids and the adults and then on Shrove Tuesday traditionally perform just the adults. Clutching our hot panini we found a bench on the square and had our light lunch taking in the beautiful landscape and all the fun that was going on around us. It felt so good being out there, in the heart of Bagolino, surrounded by people who were enjoying themselves in such an authentic, sincere way, that we seriously considered spontaneously renting a room in a local B&B and staying for another day in order to see the Carnival celebrations on Monday, too. Unfortunately, due to some prior appointments we couldn’t do it, but hopefully next year we will have a chance to return to Bagolino again. Anyway, by that point, the Carnival performers had started to congregate. 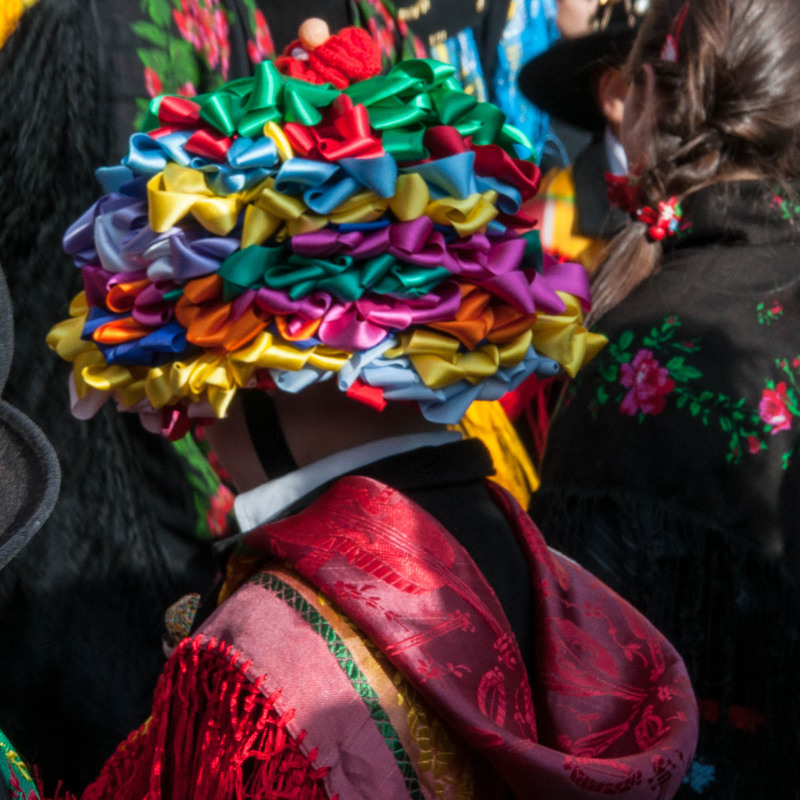 The kids – from little to older ones – were beautifully dressed in the traditional Bagolino dress. The sombre blacks and blues of the three-quarter trousers, long skirts and striped aprons, were offset by the bright exotic accessories. 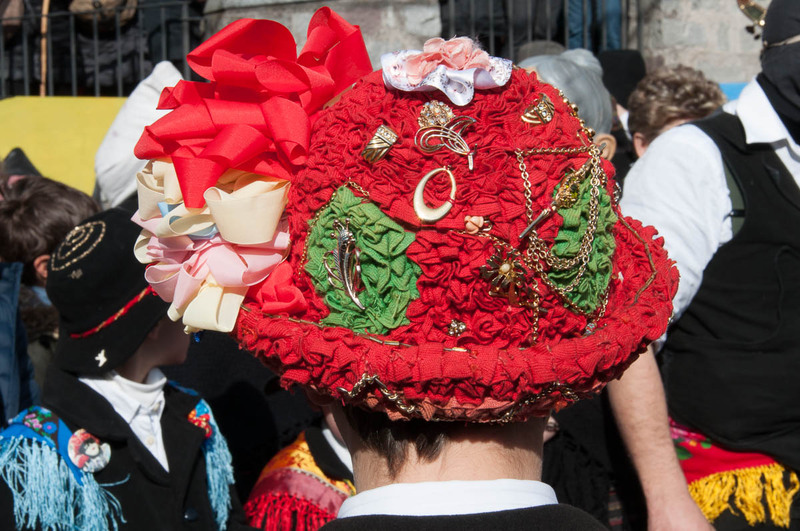 Hats adorned with metres of colourful ribbons. White crocheted socks. Stunning silk shawls arranged in a very elegant way on the backs of the musicians and the dancers. 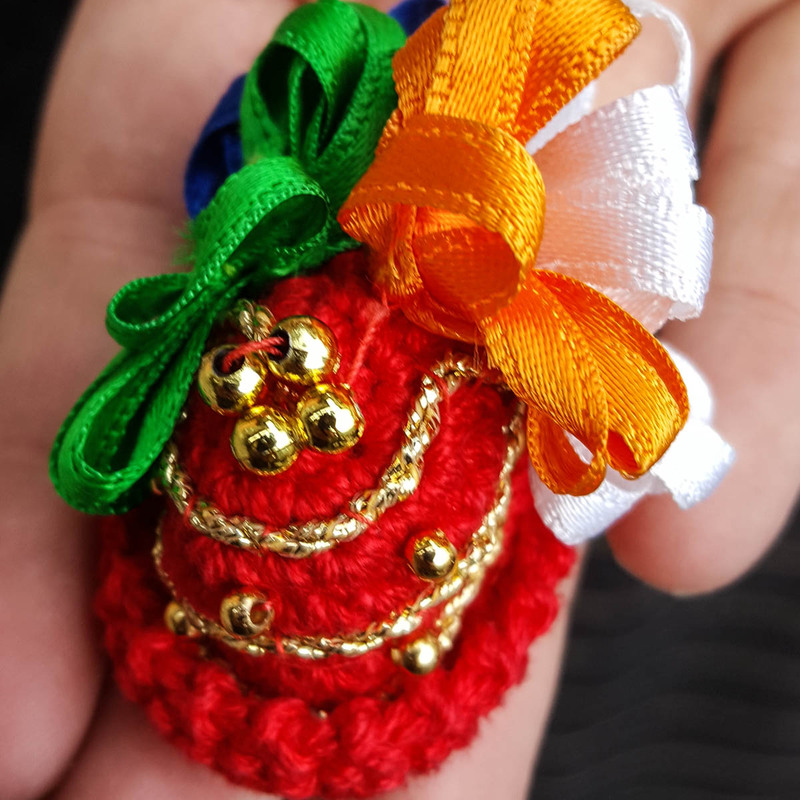 Earrings reproducing in a tiny format the colourful hats. This was the second group of performers which makes the Bagolino Carnival so unique. Named Balarì (dancers) they dance energetically and their moves seem to recall the court dances of past centuries. The bright accessories, the flying shawls, the swirling steps and moves, the chords of the violin – it is a great spectacle to see. The people crowded around the little Balarì and clapped enthusiastically after each dance. I took a few photos, carefully avoiding capturing the kids’ faces out of respect for their privacy. I have carefully chosen the photos published in this blog post to be as respectful as possible, but if you spot a photo where you recognise yourself or someone you know and would like this photo removed, please, just let me know. Thank you! Unlike the adult Balarì, which wear white full-face masks with a wide black strip across the eyes, the little Balarì didn’t wear a mask. Their costumes were as stunning as of the adults though. I really loved the hats covered with bows and the exquisite earrings. 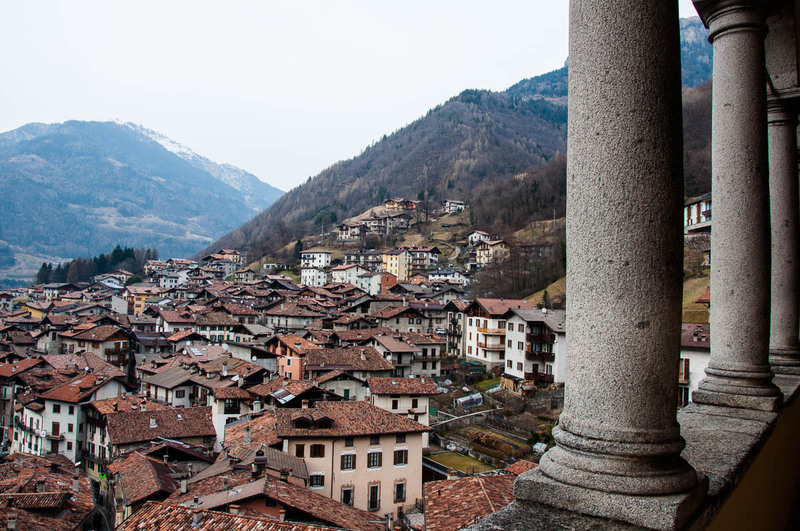 Once the Balarì had finished their dances, we walked through Bagolino and up to the high vantage point of the Church of St. George. There we spent a bit of time just taking it all in, looking at the mountains around us and down at the main square where people continued celebrating. It had been a great day! 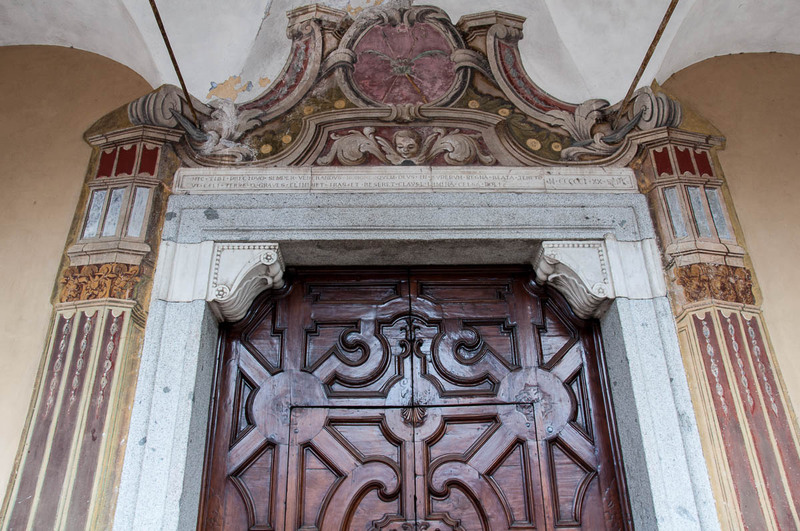 A day of discovery, a day of getting in touch with a very authentic, real Italy. I cherish opportunities like this and I hope to have many more chances to see Italy beyond its polished tourist-orientated veneer. For now though it was time for us to head back to Vicenza, so we waved good-bye to Bagolino and drove off. 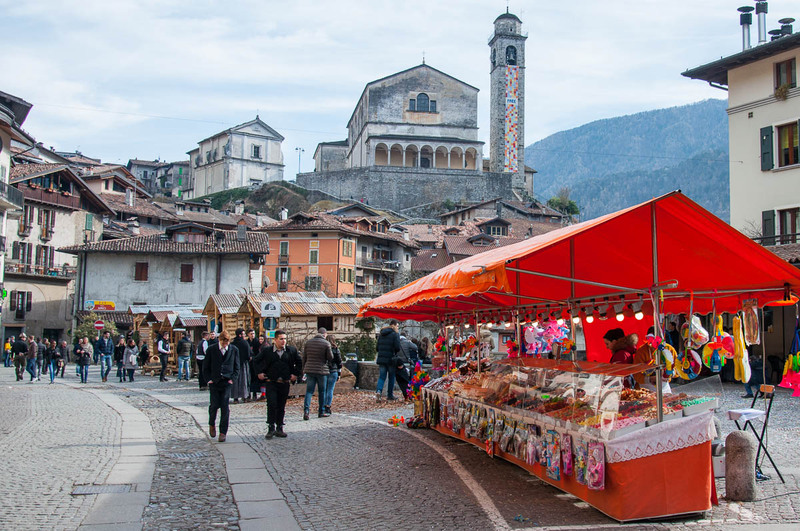 Have you been to Bagolino and/or its Carnival? 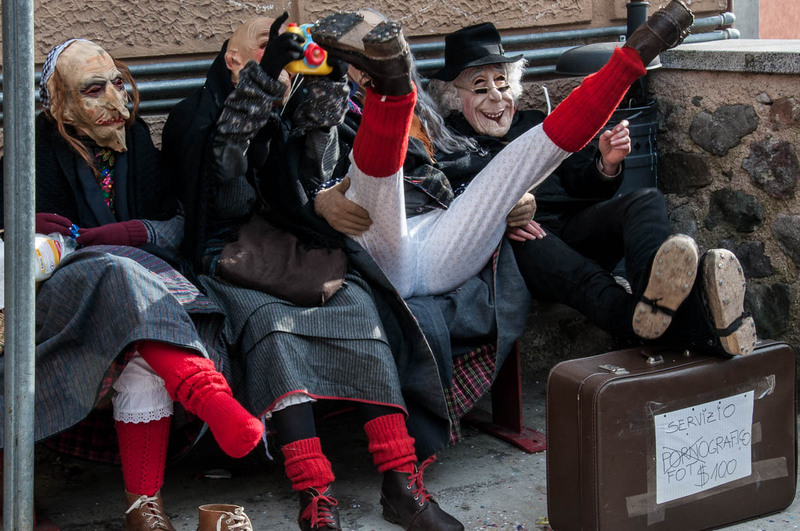 Have you been to any other Carnivals in Italy or anywhere else in the world? What was your experience? Share it with me below. Hi Rossi, that looks awesome and you were well rewarded for all the effort in getting there. I love the authenticity of it all. 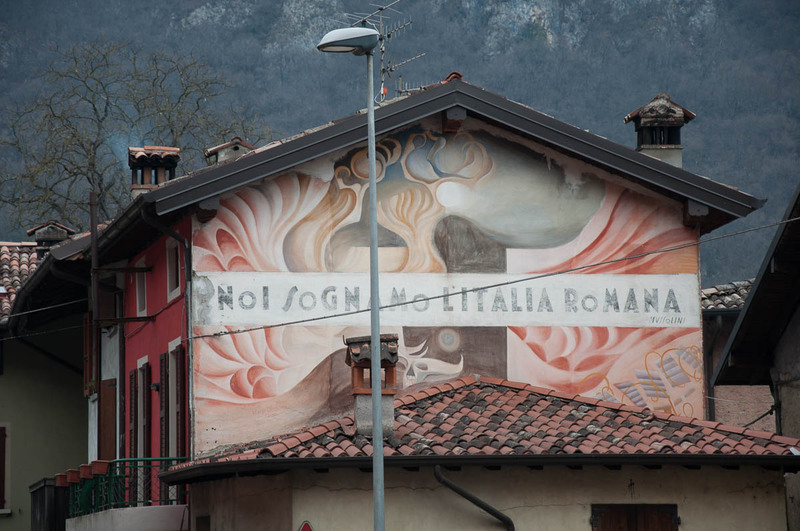 I look forward to reading more of your posts as I love Italy. Wilbur. Such a wonderful account of an extraordinarily interesting day! I was impressed by the red socks on show in your area. Around 1986 I was in Venice, hiding behind a pillar in the Rialto fish market early in the morning, sketching (among others) a robust man wearing red socks who was clearly a leading fish supplier and personality – he spotted me, and invited me to a local bar for some traditional drink that I forget, and talked in nothing that I had learned as Italian so probably the local Venetian language. Sadly, I gave him the drawing so I no longer have it. In Venice again 2 years ago, I looked out for what I thought was traditional red socks for fish sellers and was disappointed. Did I imagine it, or do you know better?